Lacrosse the Nations’ Panama programs launched in August of 2018 in Bocas del Toro: a series of small islands off the Atlantic Coast. We currently run our pilot programs on the Island of Bocas (Isla Colon) and the Island of Bastimentos. LtN’s programming began in Panama with the help of nonprofit Give and Surf at two of their youth community centers. Since the launch of our programs - facilitated by volunteers from Christopher Newport Men’s Lacrosse, Washington & Lee Women’s and Men’s Lacrosse, and Palos Verdes High School Boy’s Lacrosse programs - interest in the sport has taken off. With a successful season of volunteer groups under our belt, we are constantly looking to expand our programming within the region and establish local roots. Interested in helping us grow in Panama? Visit our volunteer page to get involved! In addition to academic support, LtN programs aim to offer children in Bocas exposure to a wider scope of skills and careers outside of tourism. Through our life skills curriculum and after-school practices, we introduce children to new skill sets, concepts, lessons, & mentors. 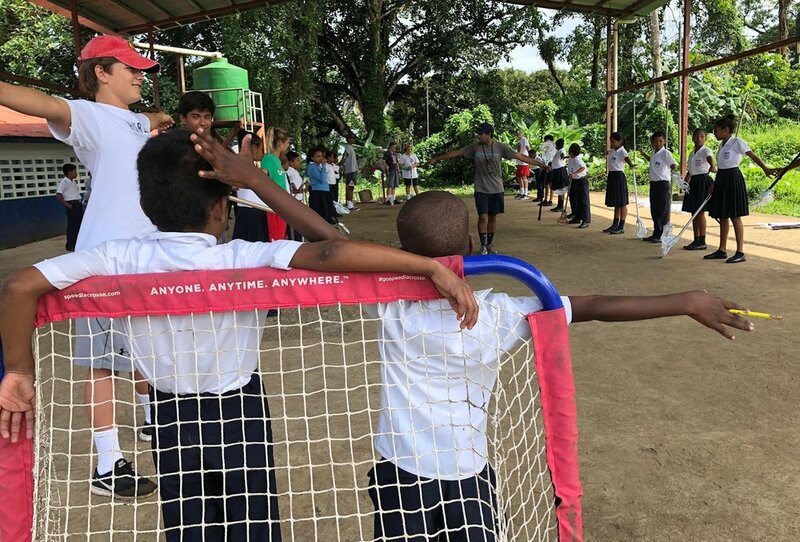 Rather than being passersby in a tourist-heavy community, we aim to create genuine exchanges, meaningful connections, and lasting relationships that are mutually beneficial - uniting people nations apart through lacrosse. Bocas has one public upper school and one public lower school. While school is easily accessible for those living on this island, high schoolers from the surrounding islands must travel by boat taxi every day to attend classes. Taking place on Tuesday and Thursday evenings right on the beach, LtN programs in Bocas provide a safe and accessible space for all kids to play in conjunction with their school schedules. Bastimentos has one small lower school. While school is easily accessible for young children living on this island, most high schoolers from Bastimentos must travel to Bocas Town by boat taxi every day to attend classes. LtN practices in Bastimentos run for lower school children on Monday and Wednesday evenings on a community field. These practices provide our young community members with a safe place for structured play during after school hours.